If you follow communication infrastructure in Africa, you would be forgiven if you have begun to think of LTE as the promised land. There is no doubt that mobile networks have transformed access on the continent. Now, we are apparently just waiting for the roll-out of LTE to complete the revolution and provide high-speed broadband to all. This article looks at how LTE is evolving on the continent from the perspective of spectrum and device manufacturing. In the early days of mobile, spectrum was pretty simple. Your GSM mobile phone usually supported 2 different bands, 900MHz and 1800MHz for Region 1 which covers Europe and Africa or 850MHz and 1900MHz for North and South America which is Region 2. There’s also Region 3 which covers Asia but this is complicated enough for now. The next type of phone to be seen was the tri-band and quad-band phone that embraced the global traveller allowing them to operate on mobile networks in both Region 1 and Region 2. Anyone remember the Nokia 6310i? Then came 3G mobile services which introduced new spectrum bands, 2100MHz in Africa and a number of different spectrum bands in North America. At that point Nokia was still the dominant manufacturer and had a huge range of phones aimed at different markets. Mobile phones tended to be very tied to national operators. With the introduction of the Apple iPhone and what we now know as smartphones, things got more complicated. Because popular smartphones are global brands, manufacturers like Apple want to sell just one phone but were actually forced to manufacture two or more different models in order be compatible with the spectrum regimes in different regions. The original Google smartphone, the Nexus One, came in two different versions. The version I bought works as a phone in both Africa and North America but I only get 3G in Africa because it isn’t designed for North American 3G frequencies. And now LTE. The standards body for LTE, the 3GPP, have defined over 40 unique spectrum bands for LTE. Currently the most advanced smartphones in the world like the iPhone 5s or the Samsung Galaxy S4 can support a subset of those bands. Apple have five different versions of the iPhone 5s for sale globally that support different combinations of spectrum bands and technologies. The iPhone has arguably the widest support for LTE with about ten different bands supported compared to about five bands supported by the Galaxy S4. In both cases we are talking about US$800 phones. The challenge of producing an affordable, flexible LTE mobile phone for Africa has a long way to go. Currently there are nine countries in sub-Saharan Africa that where LTE networks have been launched, a total of eighteen operators in total. Here’s how it breaks down. The first thing to know about the above is that none of these LTE networks are carrying voice traffic. 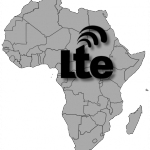 Voice over LTE or VoLTE, the emerging LTE standard for voice communication, has not been deployed anywhere in Africa. This means that even networks that are offering LTE smartphones are still using GSM or 3G circuit-switched networks to carry voice traffic. The move to VoLTE will be a big technical leap when it happens as LTE is the first generation of mobile connectivity to be entirely based on Internet protocols. 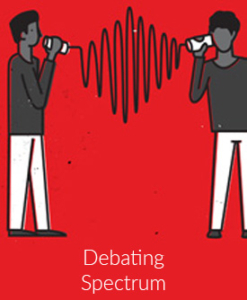 Managing voice and data on the same network may present interesting new challenges for voice quality. Movicel in Angola was one of the first networks to launch in Africa. With Movicel, an LTE dongle will cost you about US$370 and they claim download speeds of up to 100Mbps. The iPhone 5s is available too and that will set you back US$1500. This is a service clearly aimed at elites, for the time being. Some LTE networks are aimed exclusively at data users. Smile Telecom, who have networks in Tanzania, Uganda, and Nigeria, offer a data only service. The reason for this is largely historical as Smile attempted to launch WiMax networks in Uganda and Tanzania and learned a painful lesson about the importance of having a manufacturing ecosystem around the network devices. The WiMax mobile handset never took off and as a result neither did Smile’s networks. They must have deep pockets though as they have been able to leverage their existing investments in 800MHz spectrum to launch brand new LTE networks in each country. They are staying away from handsets this time though and offering data services through dongles. For more depth, Telecom.com have an excellent profile of Smile and their LTE strategy. For the time being, most African operators are recycling their existing spectrum for new LTE services. It speaks to how much spectrum most of the big operators have that they can afford to do this and still maintain 2G and 3G networks. There is a big push for new spectrum to be made available for LTE though especially in the 700MHz and 800MHz bands. This will bring new opportunities and new challenges. A brand new iPhone 5s that works on any of the brand new LTE networks above, won’t work on 700MHz spectrum. Manufacturers will be increasingly challenged to develop phones that suit different regions as countries prioritize different ranges of spectrum for release. Manufacturers are likely to have time to work on this however as releasing what is now hyper-valued spectrum in a manner that encourages a competitive environment is proving to be a challenge. The ongoing 700MHz auction in Canada is a good example of this. As governments strive to encourage new competition, existing operators are likely to push for a hands-off approach which favours the incumbents. This tension might well lead to further delays in the release of spectrum. Unless a multi-band, affordable LTE smartphone appears on the horizon, LTE phones are going to be irrelevant to the vast majority of people on the continent. However, the potential for LTE data is huge. Data dongles, which are much more affordable (about ~US$ 70), can be used to backhaul data to a community and serve a variety of consumers. This is what makes WiFi such an important complementary technology as WiFi-enabled phones and tablets tethered to an LTE-powered hotspot are a much higher high-value proposition than a single smartphone. A challenge remains in the economics of bringing LTE to sparsely populated rural areas but what hopefully we are beginning to see now is the emergence of a much more interesting and potentially resilient ecosystem of communication access where a variety of technologies can serve the last mile: LTE, WiFi, whitespaces, and inevitably some things we haven’t imagined yet.